With 99 percent of votes counted, candidates for governor won outright majority in 13 Brazilian states in the country’s elections, held last Sunday. In 14 states, the two candidates with the largest and second largest number of votes will run in a second round, set to take place on Oct. 28. To be elected in the first round, a candidate has to win by a minimum of 50 percent plus one of the total votes cast. The Workers’ Party (PT) and the Brazilian Socialist Party (PSB) had three governors elected each, taking the lead among parties with the largest number of wins in the first round. All PT candidates who won outright majority in the gubernatorial bids were in the northeast – Bahia, Ceará, and Piauí state. The region was also where the left-wing party – the members of which include former presidents Luiz Inácio Lula da Silva and Dilma Rousseff – had the largest number of votes for president. Its presidential hopeful, Fernando Haddad, will face the far-right retired army captain Jair Bolsonaro in a runoff vote on Oct. 28 as well. Haddad won in eight of the nine northeastern states, and came in second in Ciro Gomes’ home state, Ceará, where the centrist PDT contender maintained the lead. “The Northeast has been at the forefront of Brazilian politics, because it can save Brazil from having a fascist in the presidential office,” political scientist Francisco Fonseca said. In the second round, the PT will only have one gubernatorial candidate running, in the northeastern state Rio Grande do Norte, against a PDT candidate. The party of the far-right presidential candidate, the PSL, did not win outright majority for governor in any states, but made it into the runoff election in three of them: Rondônia and Roraima, in the North, and Santa Catarina, in the South. 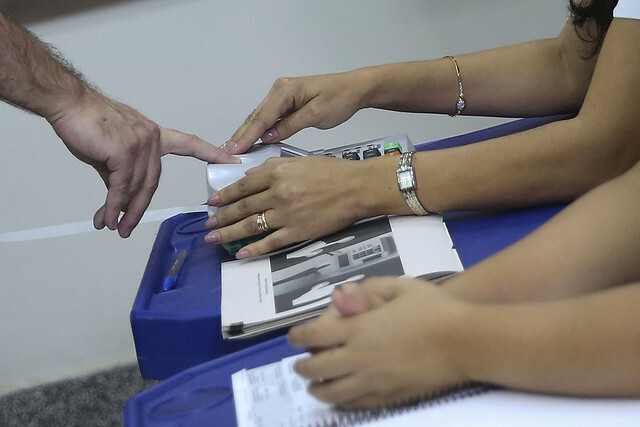 Other parties that have candidates making into the runoff vote are Ciro Gomes’ PDT, in four states; the right-wing Geraldo Alckmin’s PSDB, in six states; president Michel Temer’s MDB, in three states; and the conservative parties DEM (with candidates running in three states), PSC, PSD (in two states each), and Novo (in one state).